In order prevent workplace accidents and incidents, a Risk Management program has been put in place by FPCL to mitigate the risks and hazards that exist in every aspect of our operation. 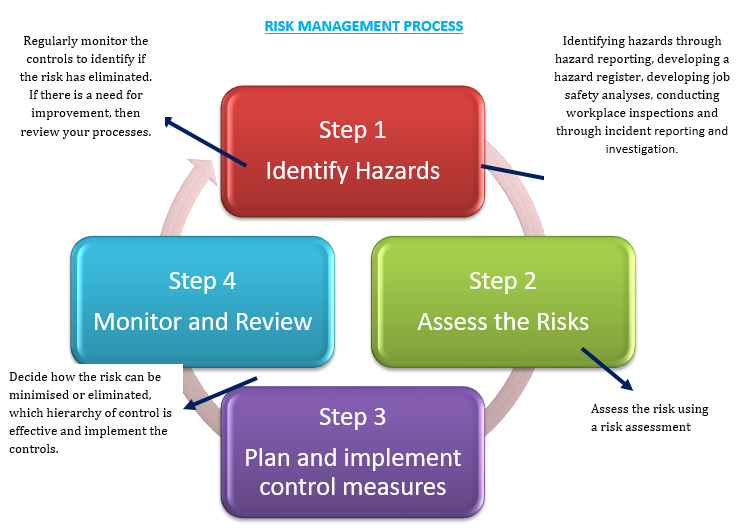 Risk Management is the process of identifying the hazards, assessing the risks of these hazards, and then putting measures in place to minimise or eliminate the risk of these hazards. Since the purchase of the PPE, pedestrian operated forklifts or walkie stacker will incur some costs and time for its implementation, the most timely and practicable control options is to develop a traffic management plan, demarcate areas for forklift and pedestrian movement and establish safe working procedures for forklift use in the workshop. Using the risk matrix, find where the consequence rating meets with the likelihood rating on the risk matrix table, to get the overall risk rating. 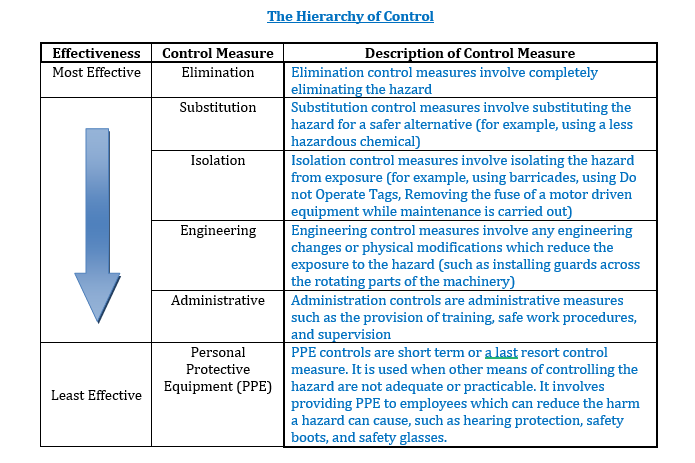 Administrative and PPE Controls when used alone are the least preferred risk control method, as they rely on human behaviour and compliance to be effective, rather than physically controlling the risk. Jone reports to his Supervisor that he witnessed a near miss incident in which an employee was nearly hit by a forklift in the workshop. Overall Risk Rating: A2= HIGH RISKIf we refer to the legend at the bottom of the risk matrix, a risk rating of high risk indicates that there is an unacceptable risk and urgent attention is required to minimize the risk. If we refer to the legend at the bottom of the risk matrix, a risk rating of high risk indicates that there is an unacceptable risk and urgent attention is required to minimize the risk. Now we have to determine which control will be effective to eliminate or minimise the risk. Substitution- Replace forklifts with pedestrian operated forklifts or walkie stacker. Administrative- Develop a traffic management plan; line marking the workshop for forklift and pedestrian areas; and establish safe working procedures for forklift use in the workshop area. PPE- Purchasing high visibility work wear.